Welcome to my website. This is David Estrada in Austin, Texas. I do not update this website often. My Facebook URL is https://www.facebook.com/davidestradajr so use it. 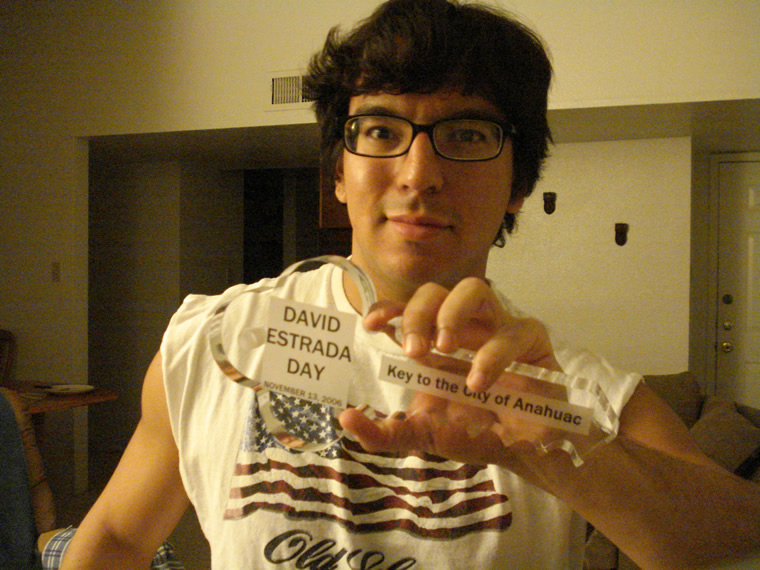 November 13, 2006 was officially declared to be "David Estrada Day" in the city of Anahuac, Texas!